Which mobility van is right for me? If you or a loved one has a disability, transportation can become a challenge. That’s where the value of a mobility van, or wheelchair accessible van, can help, as these specialty types of vehicles are a convenient and effective way to get individuals from place to place. But it should go without saying that there are a variety of different mobility vans that people can choose from when shopping for one. Rear entry vans permit clear access through the back. The ramp is typically manually operated and doesn’t require any electronics or hydraulics to operate. These ramps are also low maintenance and are easy to stow and deploy through spring assists. Wheelchair passengers can ride in safety and comfort in a central location. 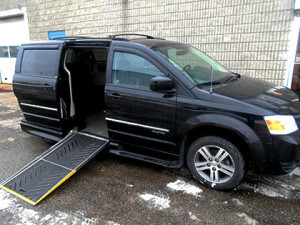 Side entry vans feature a lowered floor area with either a power or manual ramp operation. Two conversion lengths are available. The full cut conversion can offer complete independence and removable front seats for wheelchair positioning, while the short cut version offers greater affordability. 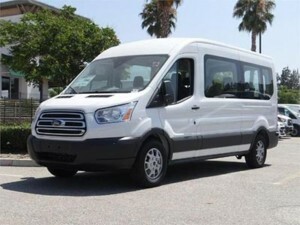 These types of mobility vans are best for transporting multiple wheelchair occupants and passengers, making them an attractive option for larger families and Community Living programs. 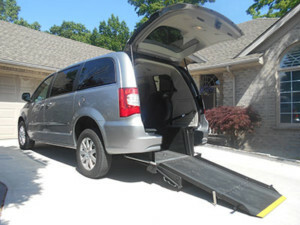 Wheelchair entry can either be side or rear, and these conversions can be done on full-sized GM, Ford, Dodge and Mercedes Benz vans. If maximum interior space is needed, or trailer towing is a requirement, then a full-sized van should be considered. If you have any questions about which type of mobility van is right for you and your family, please contact Goldline Mobility today for further information. We’re located in London, Ontario and continue to meet the mobility requirements of customers throughout Ontario and across Canada. *When it comes to mobility solutions, all vehicles are different and each vehicle requires specific consideration. Please contact the team of experienced professionals at Goldline Mobility and Conversions, we can provide advice and expertise to help you make the right choice for your needs.